Home security is the best way to reduce your chances of being burgled. A lot of burglars are opportunist, they see an open window or other easy point of entry and take their chance. Why not ask a neighbour or relative for help? Could they clear the post away from the door mat and open and close the curtains? Work with your neighbours to keep an eye on each other's security, Neighbourhood Watchgroups are good for this. Force launches online reporting – Online reporting is now live, giving members of the public an additional option to report crimes to us via email. Introducing online crime reporting will allow members of the public to contact us at a time convenient to them and provide a better service when reporting non-emergency crimes. From 1st March 2017, drivers will receive six points on their driving licence and receive a £200 fine. These changes will have a significant impact on young drivers in particular as they risk having their driving licence revoked following a first offence and will require them to retake their test. Motorists will no longer be offered the opportunity to go on a driver awareness course. "We want to draw attention to the risks drivers are taking by using their mobile phone while driving. What is concerning is that drivers aren't just making a phone call they are texting and using the internet as well when they should be concentrating on the road. This campaign is about increasing awareness of the tougher new penalties and we'll be sending messages out on social media throughout the week but officers will also be ticketing motorists who are caught using their mobile phones throughout the EMOpSS region." Please be aware we have received information about a company contacting older people by telephone stating that they are from Age UK, suggesting a discounted insulation scheme. This is NOT Age UK. Never sign up to anything over the phone. If you are thinking of having any work done, speak with friends or relatives for recommendations, and get a couple of quotes from different companies to compare costs. If you receive a lot of unwanted calls, there are a range of call blocking devices available. These allow you to program in telephone numbers of friends and family, but block or screen calls from other callers. Action Fraud has received several reports from victims who have been sent convincing looking emails claiming to be from Amazon. The spoofed emails from "service@amazon.co.uk" claim recipients have made an order online and mimic an automatic customer email notification. The scam email claims recipients have ordered an expensive vintage chandelier. Other reported examples include: Bose stereos, iPhone's and luxury watches. The emails cleverly state that if recipients haven't authorised the transaction they can click on the help centre link to receive a full refund. The link leads to an authentic-looking website, which asks victims to confirm their name, address, and bank card information. Provide opportunities for engagement with people who don't necessarily wish to have face to face contact with an officer. The project will be overseen by Insp Gav Drummond, Eastern Counties NPA Commander.He said: Society has changed dramatically as a result of new technologies, and for many people their "community" is not particularly a geographic one but something that exists online in a digital street. More and more we conduct a lot of our daily activities online – from banking to shopping and general communication, talking to friends, colleagues and loved ones. Cyber beat will help us to respond to these societal changes and provide a really easy way for people to chat with their local officer. The purpose is not to replace traditional, physical policing in our neighbourhoods, but instead to provide an alternative and additional community service. Police in Melton, Harborough and Rutland are urging van drivers not to leave tools in their vehicles overnight. 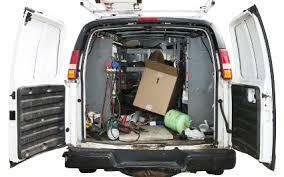 This comes after an increased number of reports of thefts from vans over the past two weeks. Sergeant Bec Horsfall, Dedicated Neighbourhood Sergeant for the Melton area said; "We have received a number of reports from across the Melton, Harborough and Oakham area so would encourage van owners to take precautions to reduce their chances of becoming a victim of this type of crime. "A few simple precautions can make all the difference." There have been 12 reported incidents in total which includes both thefts and attempted thefts. Three men were recently seen cold-calling at homes, they were offering to clean drives for cash, all three were described as being dressed in scruffy clothes. 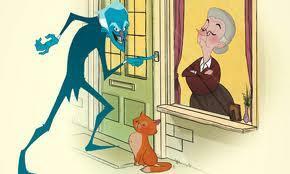 Please be aware and do not let cold-callers/strangers into your home. Online shopping websites are being utilised by fraudsters to advertise vehicles for sale which do not exist. After agreeing to purchase the vehicle via email with the fraudsters, buyers then receive emails purporting to be from Amazon Payments and/or Amazon Flexible Payment Service stating that their money will be held in an 'escrow account' (a bank account held by a third party, used as a temporary holding account during a transaction between two parties for a 7 day 'cooling off' period). Once happy with the purchase the email indicates the money will be released to the seller, therefore offering 'buyer protection'. In reality these emails are fraudulent and do not come from Amazon. The bank accounts are controlled by fraudsters. Remember that Amazon does not provide an escrow account to purchase items. Meet the seller 'face to face' and view the vehicle before parting with any money. Be vigilant of emails that purport to be from genuine companies and check the 'domain' name of the email address for any inconsistencies.